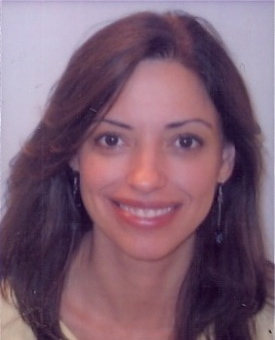 Cindy Rodríguez is a Senior Journalist-in-Residence at Emerson College in Boston. She has 20+ years experience as a reporter and has taught journalism for 15+ years. She has worked for many media outl ets including ABCNews.com, The Boston Globe and The Denver Post. She has been published in The New York Times, The Village Voice and Latina magazine, to name a few. She’s a web-2.0 journalist, meaning she knows how to produce video and audio packages for the web and is adept at using social media. She is a former Vice President of the National Association of Hispanic Journalists. She was born and raised in Harlem. Her parents hail from Puerto Rico and Cuba. Cindy is a MoJo — short for mobile journalist — who has an affinity for technology and gadgets that help reporters tell stories in the most effective and immersive ways possible. She is a veteran newspaper reporter and columnist who eschews the use of paper because it’s wasteful and inefficient. As a web-2.0 journalist, Cindy knows how to shoot high-definition video, edit on Final Cut Pro, create podcasts and audio slideshows and how to effectively use social media as a reporting tool. She’s adept at using social networking sites to engage audiences and promote stories and understands SEO optimization and viewer metrics. 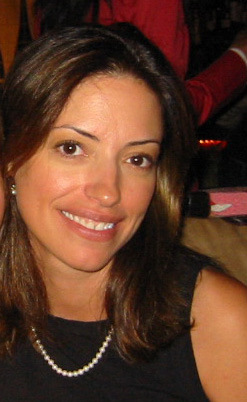 In 2011, the International Center for Journalists selected Cindy as an international reporting fellow. She traveled to Israel for her multimedia reporting project on the struggles Orthodox Jewish men face. Prior to immersing herself in all things digital, Cindy worked in the world of print as an award-winning journalist and columnist. During her lengthy career, she parachuted into stories throughout the country, working on big breaking news stories, including covering the terrorist attacks of Sept. 11, 2001, and its aftermath, writing nuanced stories about how the attacks profoundly shaped American thinking and immigration policy. She covered race relations and cultural affairs for The Detroit News, and was the lead writer on an award-winning series on the 40th anniversary of the 1967 Detroit riots. During her four years as a columnist and blogger at The Denver Post, she won several writing awards. Her columns ran in newspapers throughout the country. At The Boston Globe, she worked her way up from general assignment reporter to immigration and demographics reporter, a beat that took her to all parts of the U.S. During her three years on the immigration and demographics beat, she beat The New York Times and The Washington Post on national stories regularly. Working closely with demographers at Northeastern University in early 2001, Cindy broke the story about the enormous number of illegal immigrants living in the U.S., an amount that was double that of Immigration Service estimates. At the The Syracuse Newspapers, she ran an in-house weekly teen magazine, hj, and was Youth Editor of the daily newspaper. In this position, she wrote, edited, and designed pages, and managed a team of 50 high school correspondents, a staff writer, and interns. Cindy has been published in several dozen publications including The New York Times, The Village Voice, Latina Magazine, on ABCNews.com. She blogs on occasion for The Huffington Post. She’s written on myriad topics, from hip hop to health care, from labor issues to education. Her story assignments have taken to cities across the nation and to many parts of Latin American and the Caribbean. She’s met dozens of dignitaries and celebrities along the way. The most fascinating people for her, however, have been regular people. Cindy has taught journalism at Fordham University’s Lincoln Center campus, where her students wrote for the hyperlocal website LincolnSquareNews.org, which she designed. In New York, she has also taught at New York University, and Hunter College (CUNY), where she also served on the James Aronson Award for Social Justice Journalism committee. She previously held adjunct faculty positions at Metropolitan State College of Denver, Boston University, Northeastern University and for three years ran the S.I. Newhouse Minority High School Journalism Program in Syracuse, NY. Cindy served as vice president-print of The National Association of Hispanic Journalists from 2006 to 2008 and in 2007-2008 served as a board member of Unity: Journalists of Color, Inc.. She is a member of both the National Association of Black Journalists and Society of Professional Journalists. She was also Co-Editor of The UNITY News student newspaper project during UNITY 2004 and UNITY 2000, the largest conventions of journalists in the world. She has also mentored aspiring journalists working on The ASNE Reporter, the convention newspaper of the American Society of Newspaper Editors. She’s also been editor, for several years, of The Latino Reporter, a convention newspaper of NAHJ that brings together 25 college students from across the country for a one-week journalism bootcamp experience. She has won numerous accolades throughout her career including First Place Award for Best Serious Columnist from the Colorado Press Association, a New York State AP Award for column writing, and an award from the National Association of Black Journalists for work on a team project covering the 40th anniversary of the 1967 Detroit unrest. In 2000, she was a National Press Foundation fellow, which allowed her to live in Cuernavaca, México, to master Spanish. Cindy was born and raised in Harlem. Her mother is Puerto Rican, her dad is Cuban (he fled Cuba in 1958 when Batista was in power). She is a graduate of The City College of New York and earned a Master’s degree in digital media from the Columbia Graduate School of Journalism. I loved your survey on what Latino women think about love. It was informative, and you clearly are an expert writer. I’m with Examiner.com and think we could provide you with a great opportunity to expand your audience. I searched through your site to find contact information but couldn’t find anything, so please forgive me for posting on your comments. If you have any questions, feel free to contact me at examinermelissa@gmail.com. We hope to hear from you soon! Hi Cindy! It’s great to see your doing so well! You were my penpal through The Post Standard newspaper. I went to meet you Meachem Elementary. So proud of you! I always knew you were destined for greatness!